All this isn’t helped by so-called scientific advance either. Because keeping up-to-date with the latest hi-tech methods for establishing evolutionary trees for systematic taxonomy is part and parcel of my full-time job, I can claim to have a fairly good insight into the pros and pitfalls of molecular studies. As a result I realised long ago both that the results obtained thus may be grossly overrated as to their reliability in some instances, and that evolution just cannot be squeezed into the neat system of drawers that has been developed and expanded for the past 260 years. Now some “new discoveries” threaten wolves in the US even more, and brainless wolf haters have been handed even fiercer ammunition on a platter. 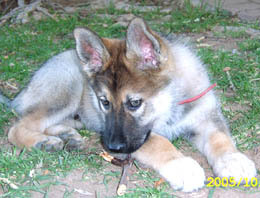 Read the article in the Wolves and Wolfdogs section and you’ll know what I mean. Our wolf tale is on the darkish side this time and in that befits my feelings while I finalise this issue. Erin provides a brief update on the seemingly never-ending story that keeps on playing out in front of her door. A family of wolves, a mated pair and their pups, is languishing in limbo. In a recent blow to Mexican gray wolf recovery, New Mexico won a court injunction blocking the release of more captive-bred wolves into the wild in that state. The release of this wolf family was planned long ago. But unless we can win in court, they will never get their chance to be wild wolves. 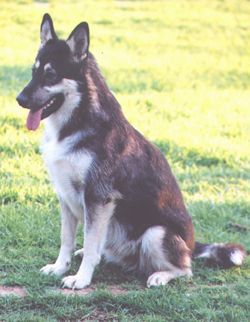 Pictured above is the mother wolf, known only as F1362, a striking contrast of dark and white fur. A shy wolf, she hides when people come near her pen, a quality that would make her a great candidate for release into the wild. F1362 and her family could thrive on the landscape in New Mexico, but instead, they wait endlessly for release. These majestic wolves should be free to run in the wild, but politics are holding them hostage. It’s nothing less than a travesty. 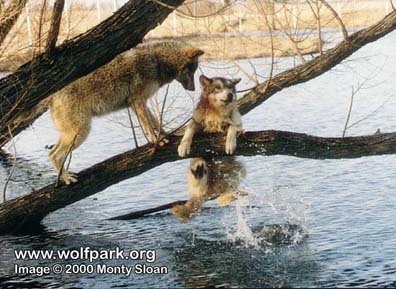 Mexican gray wolves, also known as lobos, are the most critically endangered gray wolves on Earth. Today, fewer than 100 roam in Arizona and New Mexico. Without the release of new wolves, they don’t stand a fighting chance. 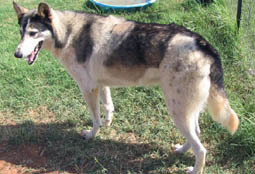 The wolves being held in limbo were bred specifically to help boost the fragile wild population. If only they were allowed to fulfil this destiny. Thanks to your generosity, Defenders’ litigation team is fighting for these desperately needed releases to move forward in New Mexico. And our field team is on the ground pressing for wider acceptance of wolves among ranchers and local landowners. 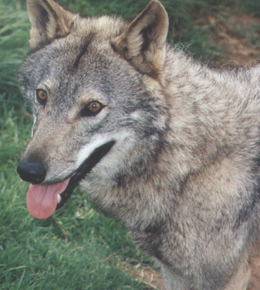 But this much we know: most citizens of New Mexico and Arizona favour wolf reintroduction. I am writing to you because I know you care. America’s wolves are in a life or death struggle for survival. And those who would erase them from the map are gaining the upper hand. And it’s not just wolves. Month after month we’ve seen an unprecedented assault on wildlife and the laws that protect them. In fact, this is easily one of the most anti-wildlife Congresses ever. The war on wolves and the constant attacks on the Endangered Species Act have stretched our resources to the limit. These are extraordinary times, and they are going to require extraordinary effort on all our parts. The anti-wildlife extremists are fighting harder than ever. They’ve declared war on the wildlife you love and the places they need to survive. Defenders of Wildlife is America’s leading voice for wolves, panthers, manatees and other imperilled creatures. We’re a dedicated team of field scientists, policy experts, wildlife lawyers, and advocates with a remarkable track record of success. Won’t you stand up to defend the defenceless? 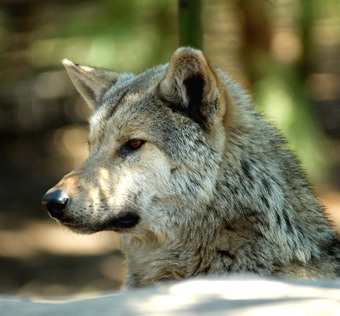 Thank you for speaking out in support of Mexican gray wolf recovery in the U.S.! The U.S. has larger blocks of suitable habitat, more protected public lands, greater financial resources and stronger environmental protection laws than Mexico does. It makes no sense to abandon plans for lobo recovery in the U.S.
Want to help even more? Add your voice to our Thunderclap campaign – a social media effort to raise awareness about lobos! You’ll help amplify the call to secure a future for Mexican gray wolves in America. Find out more here. Alaska is at it again. The state wants to kill wolves, bears and other iconic predators on our national wildlife refuges through excessive and extreme practices like baiting, snaring and aerial gunning. They even want to target mother wolves with their young sleeping in their dens! The good news is that the U.S. Fish and Wildlife Service (FWS) has finalized a rule to prevent such cruel killings. The bad news is Alaska will continue to pull out all the stops to undermine FWS and block these crucial regulations. And the worse news is that other states may follow suit if Alaska prevails. You would think preventing this sort of abuse on federal wildlife refuges would be easy. But sadly, you would be wrong. In fact, legislative proposals to nullify this new rule that conserves bears and wolves have already passed the full U.S. House of Representatives twice! And other anti-federal government forces are watching closely. If Alaska’s gruesome plans are allowed to go forward, it could set a precedent for state-led invasions of federal lands in the lower 48! These are desperate times for the wildlife you and I love. Together, we can stop these appalling attacks and help protect imperilled animals wherever they are threatened. We can do it, but only with the help of people who care…people like you. USA: Help save wolves with your morning cup of coffee! What if you could help save wildlife every morning without changing out of your pyjamas? Thanksgiving Coffee is a company that is strongly rooted in social and environmental responsibility. They have built decades-long partnerships with the small cooperatives and family farms that grow their beans. And since 2003, Thanksgiving Coffee has donated a portion of its proceeds to help fund Defenders of Wildlife’s conservation efforts. All Defenders-branded Thanksgiving Coffee products are Certified Organic, Fair Trade Certified and have flavour profiles that win 90+ ratings. They are also Certified Bird Friendly by the Smithsonian Migratory Bird Center – this is the ONLY 100% organic, shade-grown coffee certification on the market today. Eighty percent of the flavour of coffee is determined by the colour of the roasted beans. Light roasts are sweet and bright, darker roasts are less sweet, more nutty. Each Defenders-branded blend was created by Thanksgiving Coffee’s Roastmaster, Co-Founder and internationally-known coffee industry environmental activist, Paul Katzeff. Your coffee will be shipped fresh from the roaster in a vacuum-sealed package, directly to your door for you to enjoy. And your satisfaction is guaranteed or your money back. Just send the unused portion back via a UPS pick up at no cost to you. Here’s to a happy…and wildlife friendly…morning! USA: A reprieve for bears and wolves – but for how long? The U.S. Fish and Wildlife Service (FWS) stood strong this week against Alaska’s efforts to allow the excessive and extreme killing of bears, wolves and other iconic predators on national wildlife refuges across the state. FWS finalized a new rule to prohibit despicable practices like aerial gunning, killing mother wolves and bears with young, using bait to lure predators and trapping. How could a state even contemplate activities like these on America’s refuges? Alaska wants to kill wolves, bears and other predators in order to artificially inflate moose and other game animal populations so that hunters have more to shoot. And advocates of these excessive and extreme killing practices have friends on Capitol Hill. Even before the ink had dried on the new FWS conservation rule, special interests in Congress were advancing measures to allow inhumane killings on federal wildlife refuges across Alaska. Such proposals have already passed the full U.S. House of Representatives twice. Despite last week’s news that the U.S. Fish and Wildlife Service finalized a rule to prohibit this sort of abuse on national wildlife refuges, we are confident that Alaska will continue to pull out all the stops to block these crucial regulations. The Mexican Gray Wolf is one of the most endangered animals in the world, despite once thriving all across the Southwestern U.S. However, all is not lost just yet. The U.S. Fish and Wildlife Service (FWS) is in the midst of making decisions that will dramatically impact the future of the Mexican Gray Wolf, particularly how many captive wolves to release into the wild. If a substantial number of these wolves were released, additional populations could start that would vastly improve the species’ chances of survival in the wild. 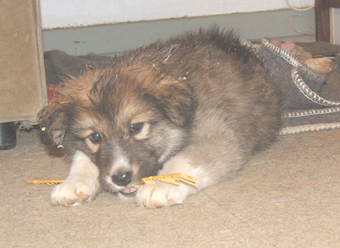 Urge the FWS to act in the best interest of these animals. USA: Cattle-killing wolves to be shot in Ferry County as we predicted! More will be Killed without our Help!! Native American Religious Treaty Rights are their only Option!! ENDANGERED SPECIES — Lethal removal of a portion of the Profanity Peak Wolf Pack (http://wdfw.wa.gov/conservation/gray_wolf/packs/7/) in Ferry County has been ordered by Washington wildlife managers after four confirmed kills on cattle since early July and three probable cases. 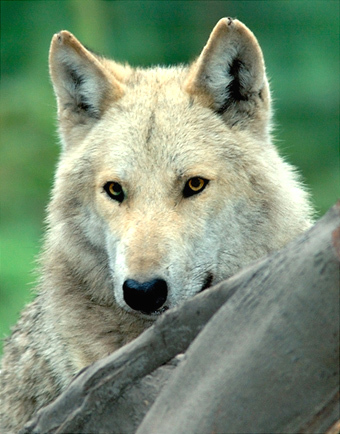 Stepped-up efforts to protect the north-eastern Washington livestock and deter wolf attacks have been unsuccessful, said Donny Martorello, state Fish and Wildlife Department wolf program leader. A protocol (http://wdfw.wa.gov/conservation/gray_wolf/livestock/action_criteria.html) must be followed before moving to the last resort of killing wolves, which are still protected by state endangered species rules, he said. The Profanity Peak Pack is one of 19 wolf packs confirmed in Washington, where the species is making a comeback. A calf was confirmed today as being killed by wolves pushing confirmed kills to four (http://wdfw.wa.gov/conservation/gray_wolf/packs/7/) and triggering the decision, he said. 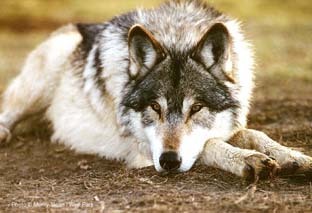 WDFW Director Jim Unsworth authorized lethal removal of a portion of the pack. The number of wolves to be removed from the pack, which totals at least 11, has not been determined, Martorello said. The cattle killed on public lands grazing allotments in the Sherman Pass area belong to the Diamond M Ranch, which suffered confirmed wolf attacks on cattle by the Profanity Peak Pack in 2014. “The purpose of lethal removal is to stop wolf depredations from continuing in the near future by disrupting the pack’s pattern of activity and reducing its food requirements,” he said. “We expect to begin the effort very soon, depending on weather and related environmental factors,” he said, noting that removal options include shooting from a helicopter, trapping and shooting from the ground. Will the Red Wolf be removed from the Red List? 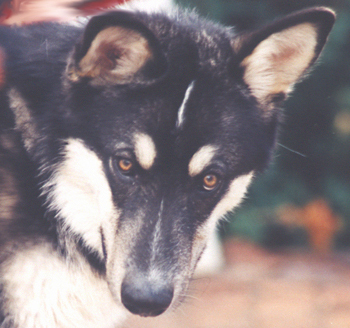 Hundred years ago, red wolves were all but extinct. 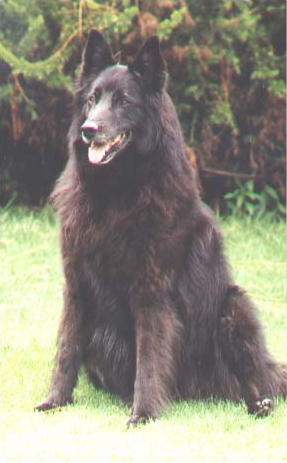 Then, a breeding program was started in the 1970’ that brought them back to North America. But whether they will remain on the species conservation list in the future is uncertain. The red wolf is smaller than the European wolves, almost petite by comparison, and his coat is red like cinnamon or fresh autumn leaves. 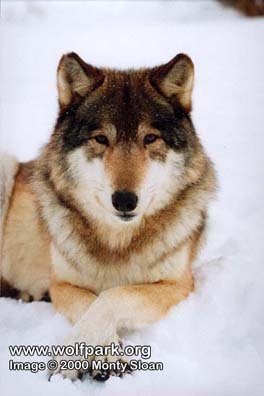 Red wolves are endemic to North America. They now live mainly in Florida, in those vast areas of the state that are only sparsely populated by humans. 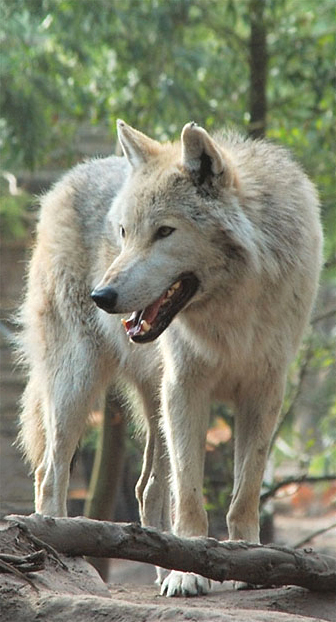 Their return was a conservation success that could be compared with the return of wolves to Germany. Presently the red wolf is still on the Red List of Endangered Species in the USA, and therefore strictly protected. But is it indeed a true species? This is a question that has arisen from a new study in which researchers analyzed the genes of the red wolf, and made a discovery that could have far-reaching consequences for the future of these animals. 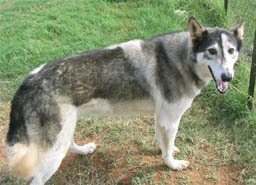 They suspect that it is not a true species and suppose these animals to be hybrids – cross breeds of different species. 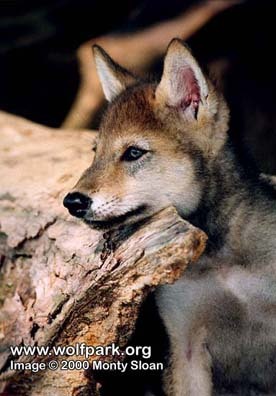 And if the red wolf is not a species, should it still be enjoying legal protection? This discussion not just involves the red wolf, though. 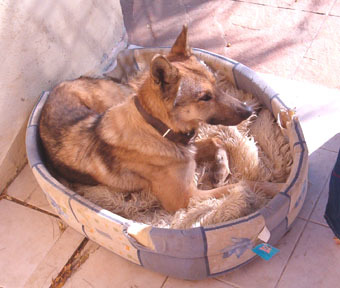 Other animals could also lose their species status in the future due to the results of genetic analyses. 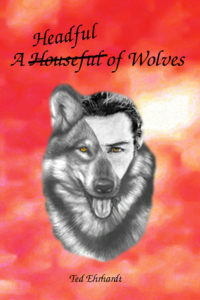 The wolves that have returned to Germany have likewise been suspected to be of hybrid origin by some. So far, four wolf species/subspecies have been listed as living in the USA and Canada: grey wolf, coyote, timber wolf, and red wolf. 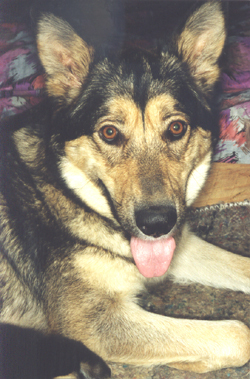 But when the research team headed by Robert Wayne from the University of California analyzed the genetic composition of 28 wolves, coyotes, and dogs from North America and Eurasia, the results showed there are just two; red and timber wolf are hybrids between grey wolf and coyote, according to them. Only grey wolf and coyote are true species from a genetically perspective. Although they are closely related, they separated between 115,000 years ago and 600 B.C. and have been developing independently from each other since. This result could become a threat to the future of the red wolf, because the U.S. Endangered Species Act does not apply to so-called “mongrels”. If the red wolf was to lose its species status, it would also lose its protection status, and the breeding program to preserve it would have to be stopped. 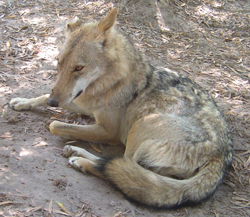 At least the researchers who have caused this precarious situation for the red wolf, now support its protection status, because, according to Robert Wayne, hybridization is a natural and common phenomenon. Other experts now demand that the Species Protection Act be completely overhauled, since the red wolf would not remain the only species to lose its status due to genetic analyses. Ronald Kays from the North Carolina Museum of Natural Science says that it is unacceptable that a species should not be protected just because it is a natural hybrid, but nothing has been decided yet. 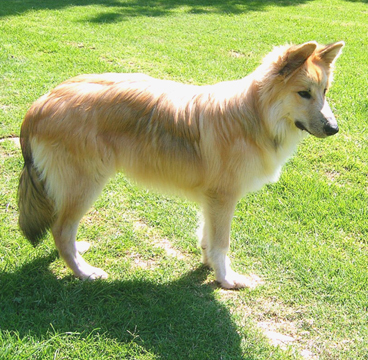 For their part, German wolves have nothing to fear yet, because so far there is no scientific indication for their being hybrids. Rachel was just turning fifteen that day. She felt giddy and ready for anything. In the market she sang and danced alone. Later that evening she felt sad. For she had no friends anywhere. She hummed to herself then went to bed. At around midnight, she heard a lonely howl from a wolf. It wasn’t far away. The wolf was somewhere in the forest surrounding her home. She got out of bed, threw on some clothes, and went out her window. On her way into the forest she stopped by the shed and grabbed her bow and her pack of arrows. You never knew if and when she’d need them. She continued straight into the forest. That was when the pain took over. Her bones twisted in every which way. She cried out in agony. What was happening to her? She fell onto her knees, which were now pointing into the opposite direction. Her nose and mouth melted into a long snout. 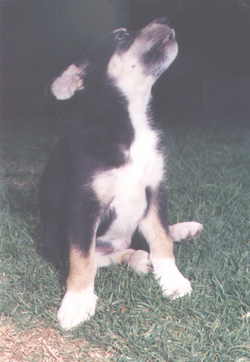 She howled. Suddenly the pain stopped. A black wolf came out of the forest and nudged her up. She walked on four paws to the river nearby. When she looked into it, she saw her reflection. She was a wolf, a beautiful white wolf with golden eyes. She turned around to face her helper. He stood there with love in his eyes. She knew where she belonged. She was no longer Rachel. She now was Moonwolf, the mate of Shadowwolf, her black wolf friend, her lover.